Born at Veira, Orkney, Scotland on 6 July 1874, son of William Wood and Margaret Robertson, he came to Canada in 1887, and was educated at the Port Elgin (Ontario) High School and Knox College (Toronto), graduating from the latter in 1904. He served as a Presbyterian minister at Dunbarton, Ontario from 1904 to 1908, at Claremont, Ontario from 1908 to 1913, and at Franklin from 1903 to 1916. On 22 June 1904, he married Margaret M. Workman (c1881-1966), daughter of Andrew Workman, of Rothsay, Ontario. They had a daughter Rhoda Marguerite Wood (1906-1947) and an adopted son Keith Robertson Wood. He opposed J. H. Howden in the Beautiful Plains constituency in the 1914 provincial general election and was defeated by 40 votes. 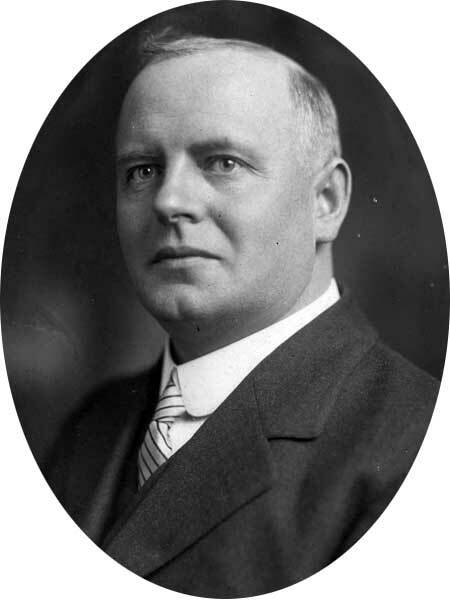 He was elected to the Manitoba Legislature at the 1915 general election, defeating James H. Irwin. He did not stand for re-election in the 1920 general election. He was Secretary of the United Farmers of Manitoba, resigning in 1925 to become Chairman and Director of the Manitoba Prohibition Alliance. He became Principal of the Ahousat Indian School on Vancouver Island in 1928, and later was Principal of the Indian School at Portage la Prairie. In June 1943, he was appointed chaplain of the Stony Mountain Penitentiary, retiring in June 1946 to return to ministerial work at various places in Manitoba. He died at Portage la Prairie on 11 December 1947 as a result of fall sustained at Poplar Point. “Rhoda M. Wood, former teacher, dies,” Winnipeg Tribune, 13 October 1947, page 5. Obituary [Margaret M. Wood], Winnipeg Free Press, 5 December 1966, page 34.